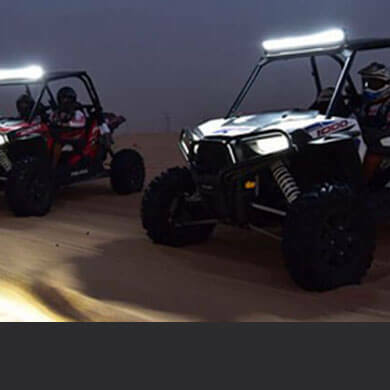 Rent a Buggy in Dubai and get ready for a real deep desert experience that you have never dreamed of before. 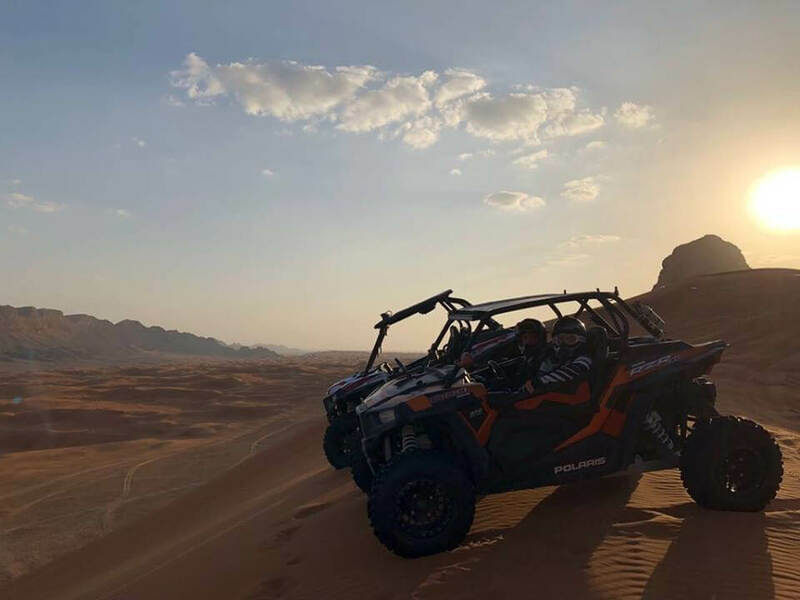 The UAE definitely is the main hub for offroad adventure seekers in the middle east, offering numerous exciting, thrilling and breathtaking activities. One of the best activities is our famous buggy rental in Dubai. 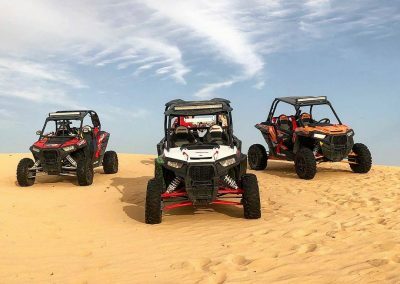 You found the perfect place to experience an unforgettable dune buggy ride in dubai through the soft sand & massive dunes. 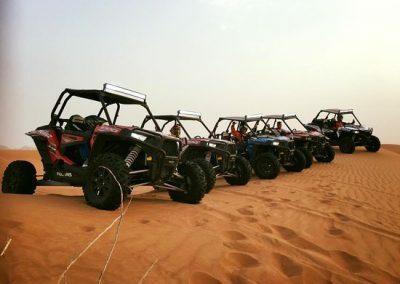 Enjoy the most thrilling adventure in the heart of the Dubai Desert. 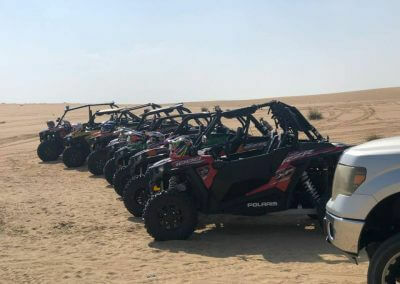 We offer breathtaking dune buggy rental for you and your friends or family. 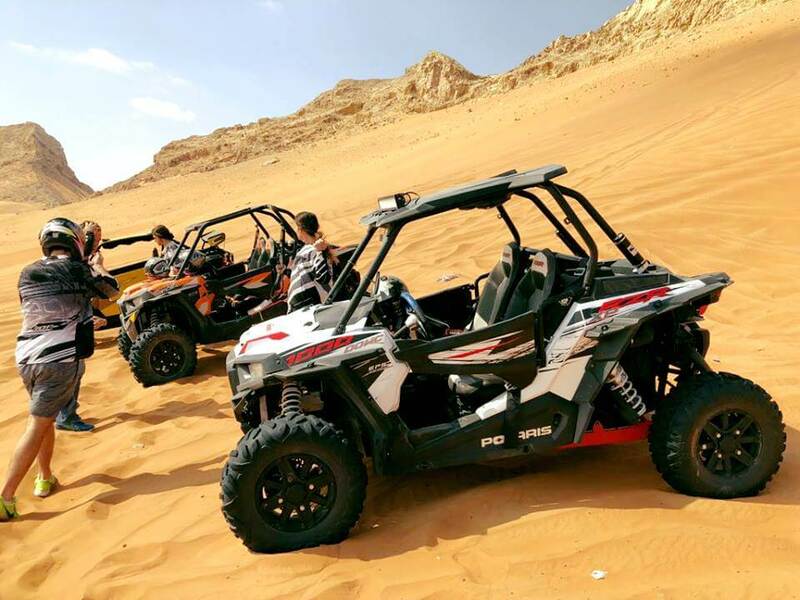 A weekend or vacation trip bashing around in the red sand. 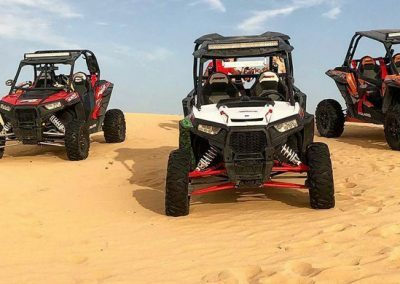 If you are an adventure seeker this is the perfect place to rent a dune buggy in Dubai. 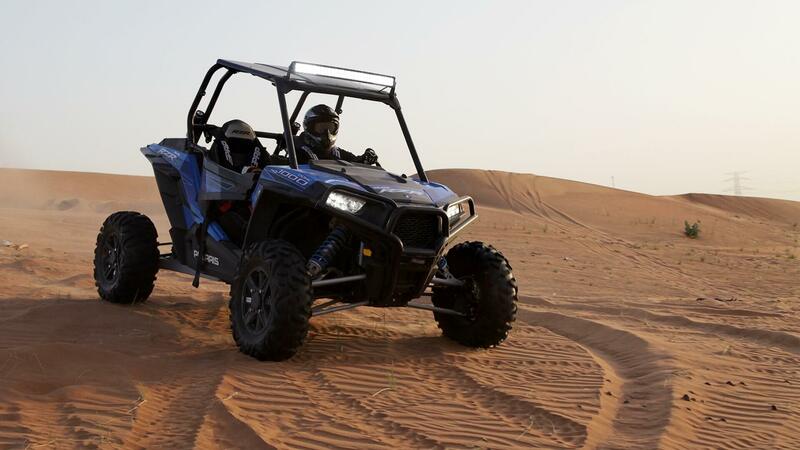 While driving through the dubai desert in a dune buggy, you will bring the buggy to its limit. Ride with us and discover the beautiful Arabian Deserts. 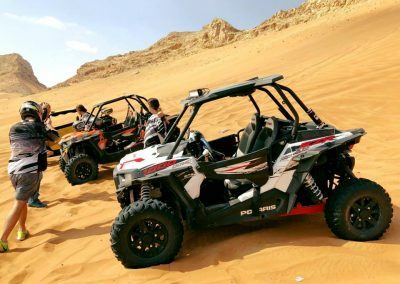 We provide the best services when comes to buggy tour Dubai. 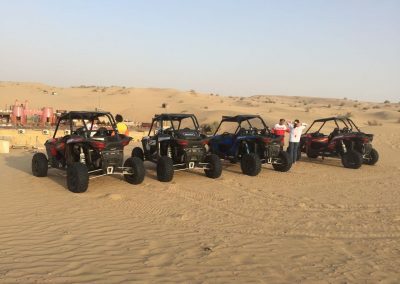 We provide a thrilling experience where you go safe but steady beyond your limits on your buggy tour Dubai. When it comes to driving a dune buggy in Dubai you will immediately feel the freedom and endless nature in the Dubai Desert. 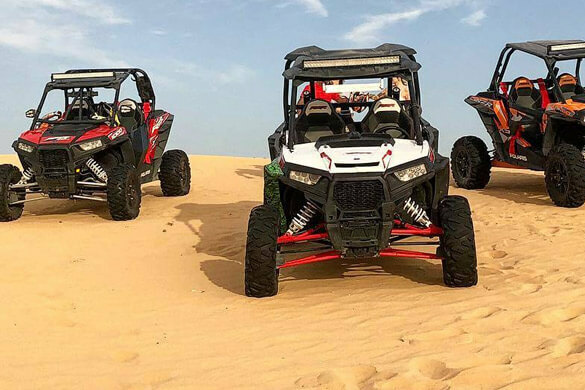 Enjoy the wind and the amazing views while bashing through the dunes or the fast trails. 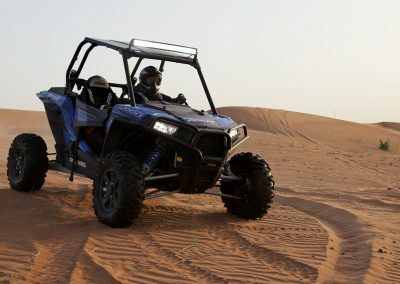 However, a dune buggy can be much more dangerous than a regular car. 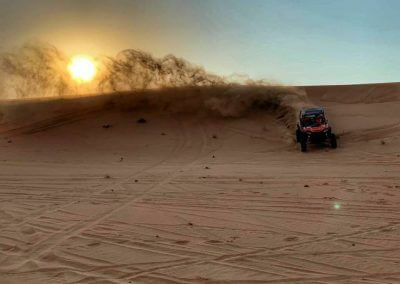 When you get closer to a dune, the view is blocked and you can only guess what´s on the other side. 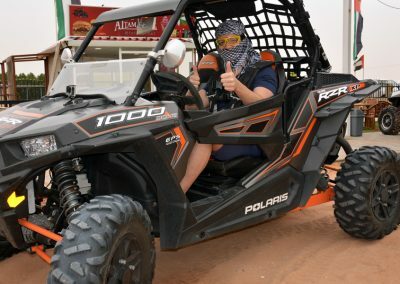 This and a lot other factors in the Dubai dune buggy experience create many opportunities for accidents. How do we reduce the risks of accidents and injuries? It sounds simple and yes, it is, to keep yourself safe in a Dubai dune buggy just use the safety gear that we provide free of charge in our camp. 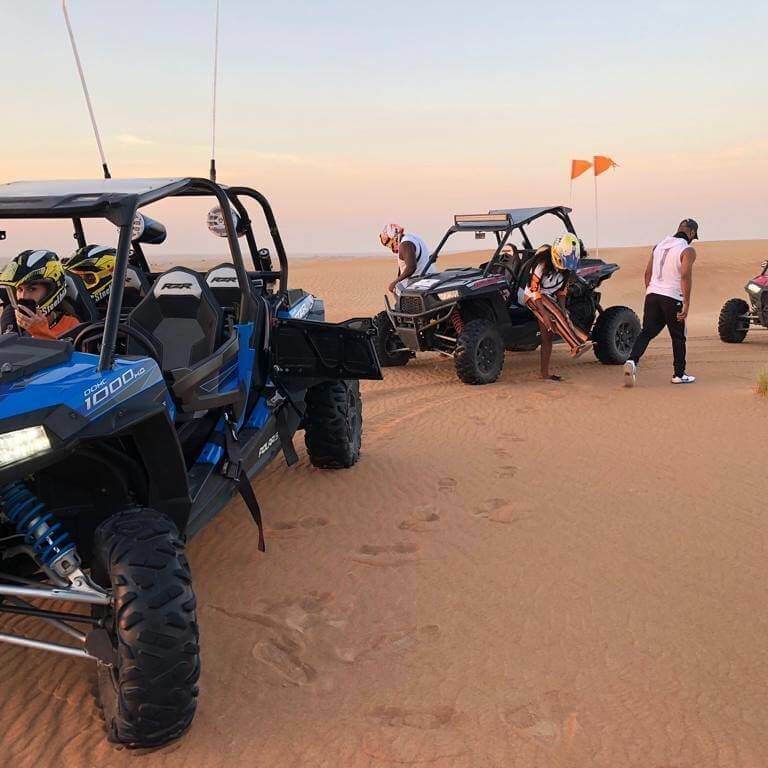 This includes a proper racing helmet, a long racing shirt and gloves to prevent injuries from small stones or bushes that pass with high speed. We have a wide range of protection kits for chest, elbows, knees and back protectors available. 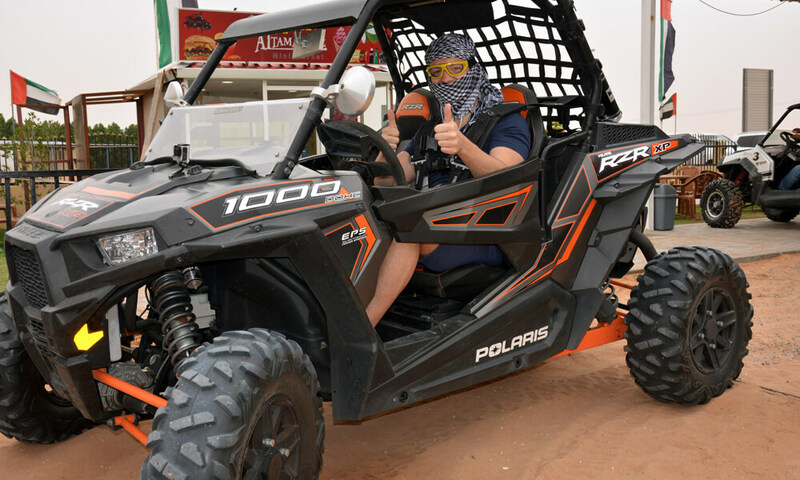 There’s no windshield on the dune buggy, for this we provide racing googles to stop dust, grit and stones getting in your eyes. This will keep you driving more safely. Always strap yourself in with the seat belt. 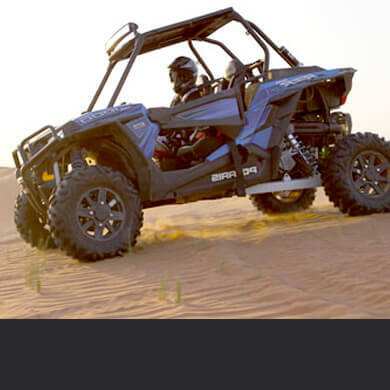 Our buggies are equipped with 5 point racing harnesses that will not let you move in the seat, not even a centimeter. 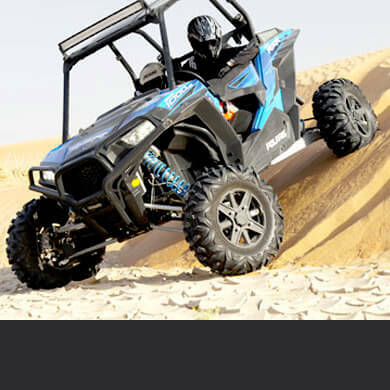 This reduces the chances of serious injuries in the event of the dune buggy crashing hard or flipping. Keep your hands inside the buggy, this is very important also for passenger. 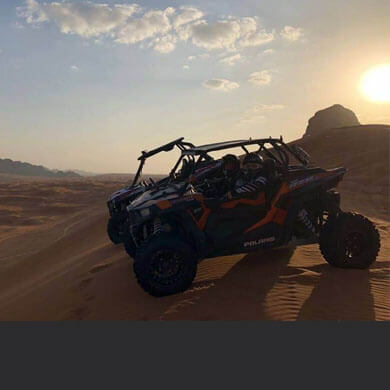 The passenger has a handle in front of him that he should tight on the ride. a) Use your eyes (yes this is the key) and get yourself an overview of the next 20 meters. If you cannot see what is behind the next dune or corner, slow down and drive over it carefully sideways. b) Always follow the line of your guide. This will make sure you don´t end up in terrain that wasn´t checked for safety. If you feel safe you can play in certain areas on your own risk. c) If you are not sure about your next step, stop and wait for your guide to help you. Always keep a safe distance to other vehicles in front of you and next to you. Before you decide to move into any direction, make sure no other vehicles are in your new line. 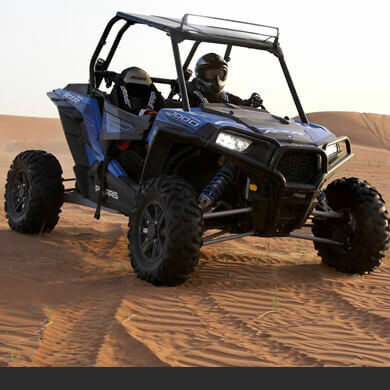 Speed of more than 120km/hr are possible in the desert, this makes other vehicles appear fast in your danger zone. 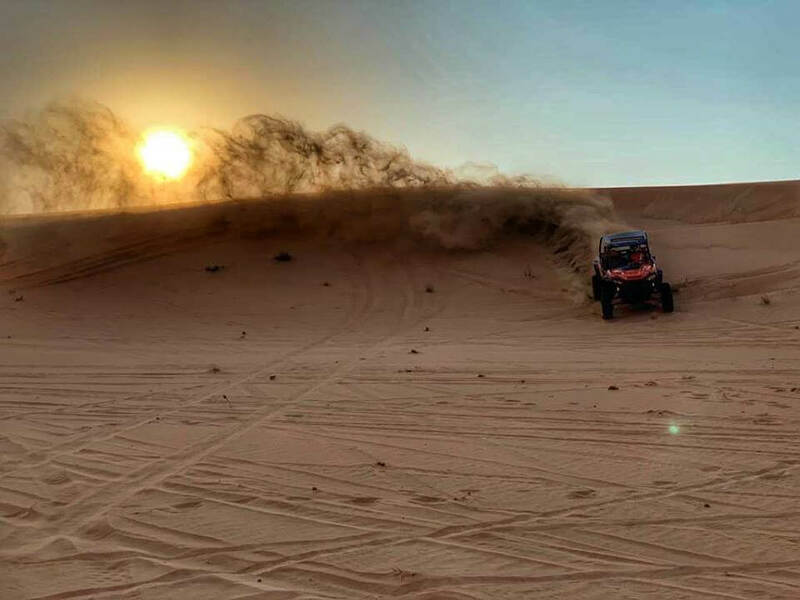 Driving on dunes needs some practice. 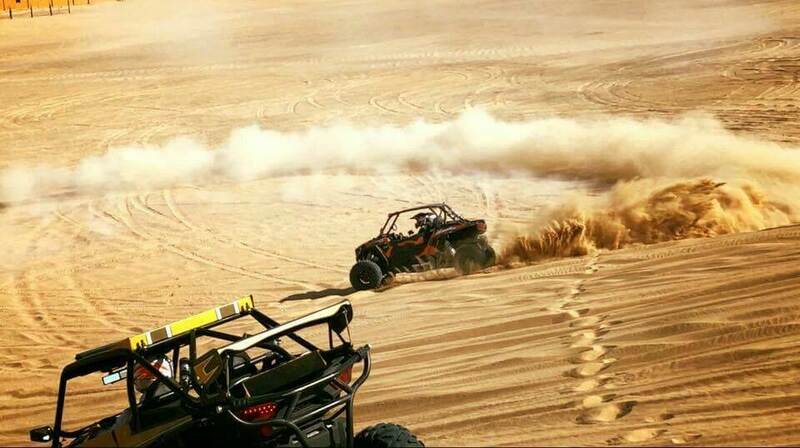 Don´t stop on a dune unless you already passed the peak of it. Otherwise you will get stuck. 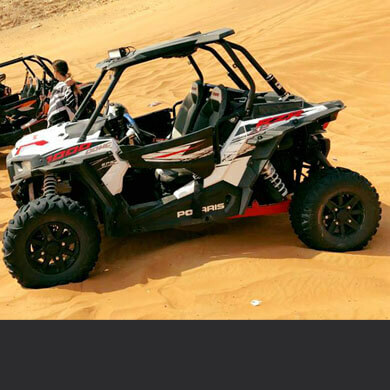 If you feel the buggy is getting slower while going up a dune and you are about to stop, don´t accelerate more. 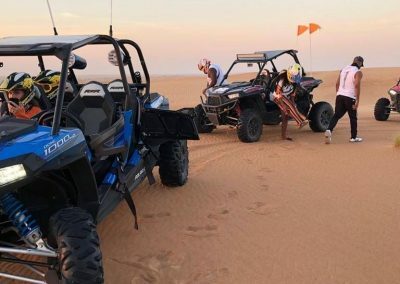 Drive slowly reverse down the dune and try again from a flat ground. If the buggy does not move forward anymore, just stop and wait for help. 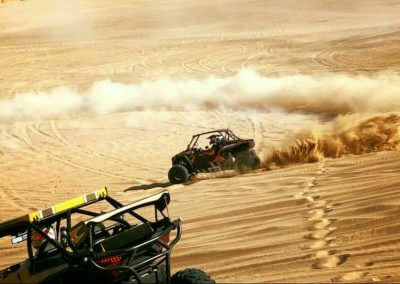 Don´t try to get out with full throttle, it will just dig you in deeper.